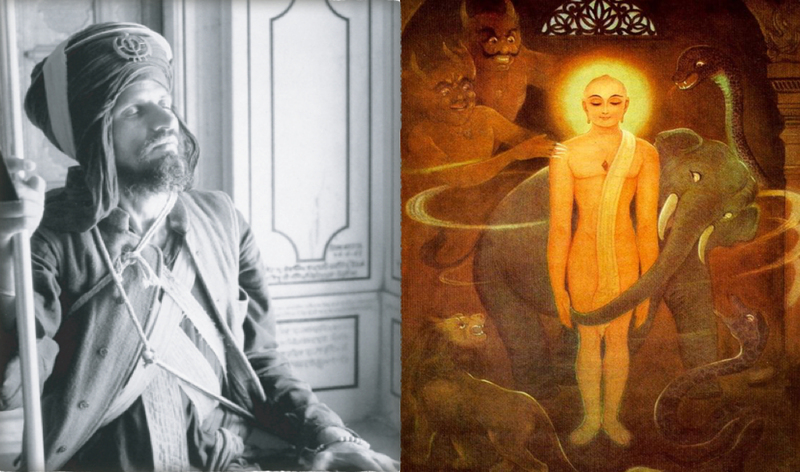 Stop by level 3 of the library to explore how Jains and Sikhs live as “spiritual warriors” through their competing and complementary narratives of violence and nonviolence. The Jain practices of ahimsa (nonviolence) and Sikh practices of seva (selfless service) promote equality, care for and protection of all others through conquering self-centered desires and behavior. However they differ in their approaches, with Jain monks and nuns avoiding harm to others at all costs while Sikhs have historically been warriors ready to defend those in need against injustice. Through the artifacts and images on display, you can see how the lived spiritual practices of Jains and Sikhs offer dynamic examples of ethical engagement with all life. If you are interested in learning more, check out the upcoming conference hosted by LMU’s Theological Studies department and the Uberoi Foundation. More details below. Both events are open and free to the public (you will have to pay for parking until 8 p.m.). Registration required. For more information, go to the LMU Yoga Studies events page.